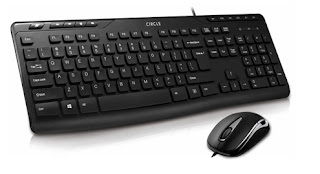 CircleCT®, Complete Technology (CT) graded PC components and peripherals, today launched Circle C50 ultra-slim multimedia keyboard and mouse combo. With a promising warranty period of 3 years and aggressively priced at an MRP of Rs 799. The combo comes with an attractive gold plated USB's for both keyboard and mouse. The keyboard is spill resistant and compatible with all Microsoft windows systems. 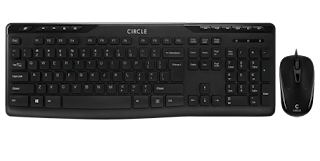 Circle C50 keyboard comes with over 20 million key-strokes lifetime and has been designed with trendy chocolate key cap and mute technology, which reduces the keystroke sound to almost nil. The multimedia keys are conveniently placed for easy and faster access. Superior stretch silica gel material has been used to achieve excellent elasticity. 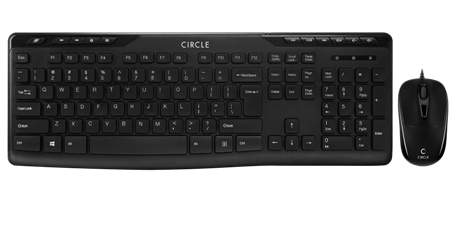 With the spill resistance feature C50 allows one to be carefree while using the keyboard. The mouse has 1000 DPI resolution and is designed with a scroll wheel lifetime of over 3 million times. Circle C50 combo comes at an MRP of Rs. 799 and expected to be available by 15th of July 2013 with 3 years warranty. Since 7 years, Circle CT (Complete Technology) has been the symbol of assurance with highly qualified team of individuals authorizing the honesty of Circle products. At circle each product with its individual parts are subjected to rigorous intelligence and ability tests before finally certifying it as a complete technology product, making sure that each product meets the high standard of superior quality. The world of Circle today stands as a one stop destination for excellence in all computing functionalities & audio devices.